Skin stretches to accommodate excess weight. 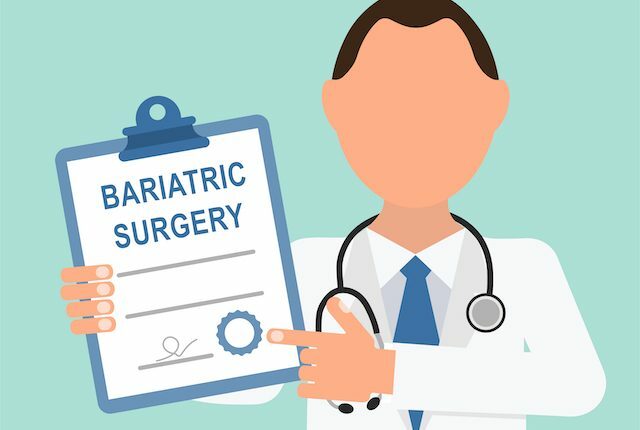 When the weight is lost gradually, the skin is more likely to shrink back to conform to the body’s new dimensions but when weight is lost rapidly, as with bariatric surgery, the skin’s elasticity cannot keep up. Not everyone will suffer the same degree of post-surgical excess skin. Elasticity is affected by genes but also decreases with age, sun exposure, and smoking. 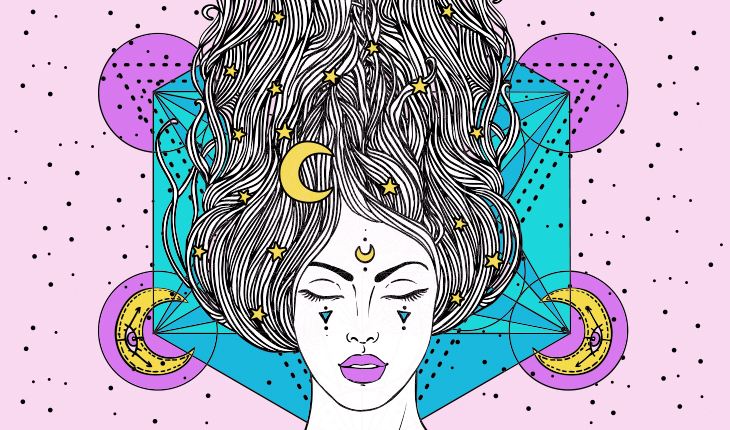 In general, the part of the body that carried the most weight is where the skin is most stretched and least elastic and where loose, sagging skin will be most troublesome. For many people, that area is around the middle. 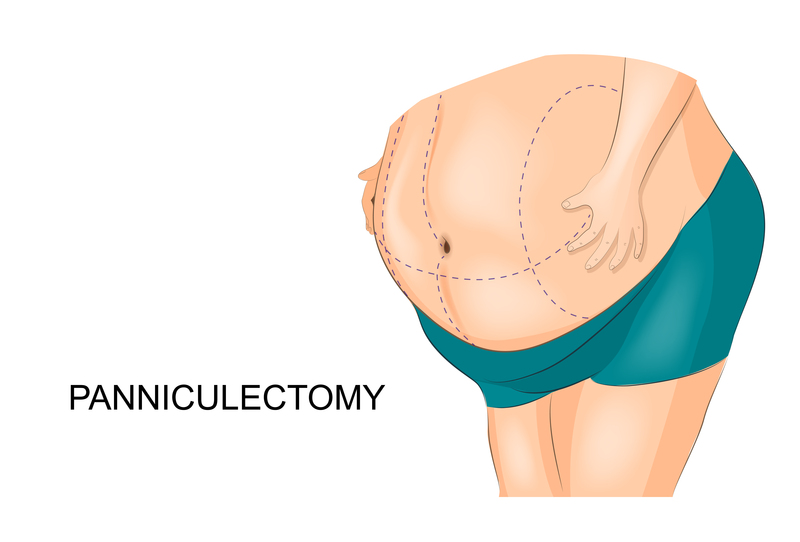 Panniculectomy is a functional surgery. The excess tissues are heavy, causing back pain, and skin rubbing on skin causes rashes, infections, and skin ulcers. The belly button is resected so that the patient does not have a belly button after surgery. 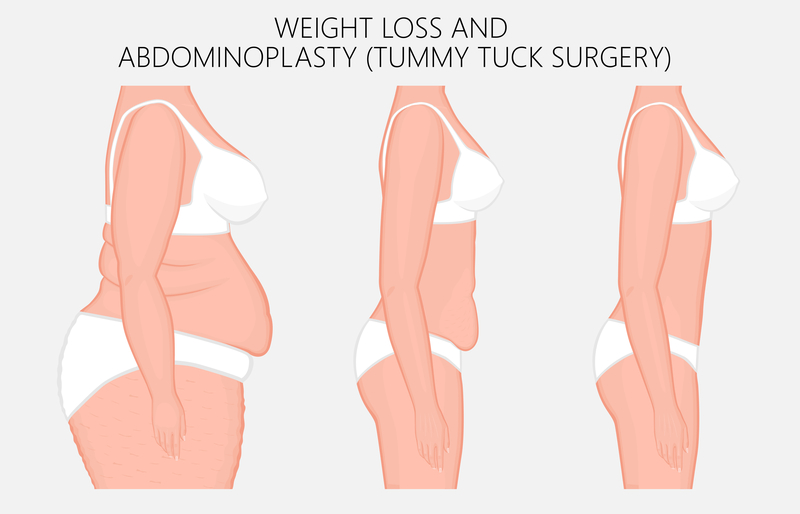 An abdominoplasty (or tummy tuck) similarly removes excess fat and skin and also tightens the muscles of the abdominal wall; usually the navel is relocated as well. It is performed as a body contouring procedure for cosmetic reasons to flatten the upper and lower abdomen and remove excess skin. In some cases, liposuction can be performed as an additional procedure to contour the trunk.